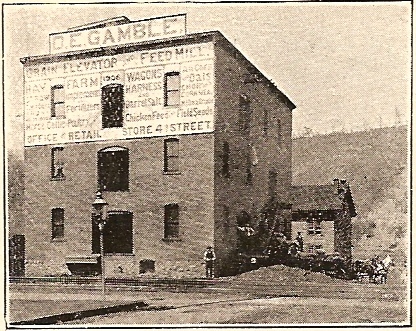 Mr. Gamble was also a director for The First National Bank of Monongahela. Below is a larger picture showing the building. Well, what does the building look like 100 years later? 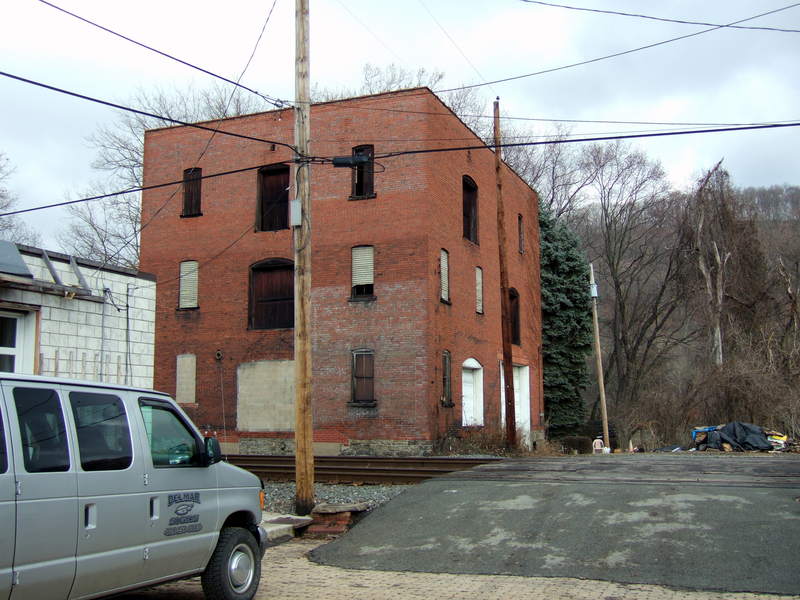 The building has been altered but is easily recognizable. The wooden sign and roof structure have been removed. 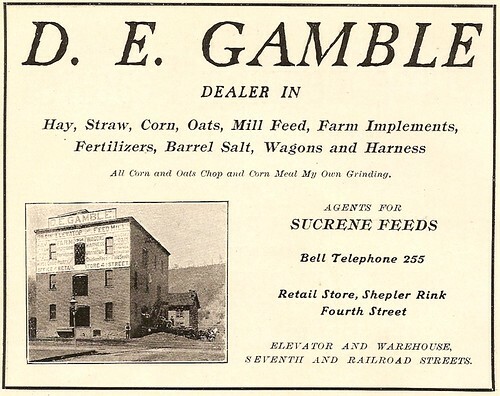 If you check out the larger photo on my flickr site you can see remnants of the original signage as seen in the 1908 ad. If you look carefully at the lower right hand corner you’ll see remnants of a sign that must have been painted later than 1908. I think I can make out the words “Cows, Horses, Hogs”. Do you have any guesses what the other words might be? I wonder what ever became of D.E. Gamble. If the future generations are wise they will acquire River hill, from the bridge to Dry Run, reforest it, and make it a public park. Monongahela with a sun baked hill, denuded of trees, so close to its limits, may be a different place from a comfortable point of view, and all the advantages the town now possesses as a city of modest homes, may be lost through the lack of foresight on this one important question. Well, as evidenced by the pictures you can see that the trees are back! River hill is one of my favorite features of Monongahela. The hillside is beautiful in the spring with the dogwood and redbud trees in bloom. On each 4th of July River hill is half of the spectacle as it reflects the light of the fireworks and echoes the sound back to the crowd at the aquatorium. The fall of course is the most spectacular with the fall foliage providing a wall of color running the whole length of the city. I hope you enjoyed this first post of mine. Please leave a comment and let me know your thoughts, tips or suggestions.